Santana Row is nabbing yet another premier retail store. C. Wonder is opening their very first San Jose location in November of this year. The company features fresh twists on traditional designs for both clothing and home products. The store will clock in at just under 4,000 sqft. For more info, just continue reading below. 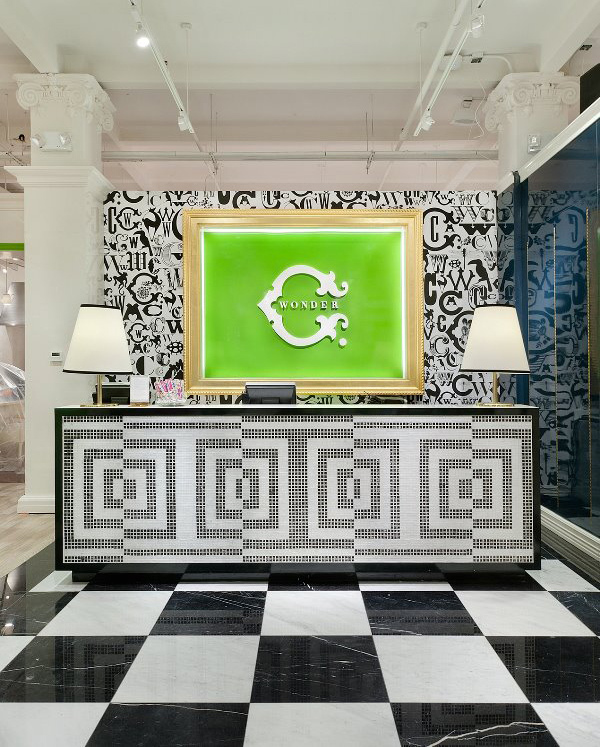 Created to deliver brightness to every corner of life, C. Wonder offers an entirely new retail experience: clothing, accessories and home decor products of outstanding quality and astonishing value in a setting that excites and inspires. C. Wonder opens its first San Jose store at Santana Row, offering a diverse assortment of beautiful, versatile and spirited products that pair timeless design elements with fresh twists, such as unexpected colors and patterned linings. The collection is edited to offer solely must-haves — key items to enhance a room, refresh a wardrobe or inspire a memorable experience. The 3,824 square-foot store at Santana Row, scheduled to open in November 2013, will be a jubilant celebration of design and discovery for home and wardrobe and an inviting destination for shoppers. With breathtaking, always-changing window and floor displays, gorgeous decorative schemes, and intriguing surprises to uncover the world of C. Wonder is a sensory experience not to be missed. Madewell, an iconic American retailer and a brand coveted by fashion-conscious women and men, is slated to open on April 24. The 3,500 square-foot shop will occupy a portion of the space that was the former H&M store before its move to a larger building last fall. Established in 1937 as a dry goods emporium, Madewell offers a wide range of effortlessly cool pieces. Chic yet comfy apparel includes soft chambray shirts, broken-in tees, leather boots, accessories and bags. The denim bar serves up a menu of current jean styles from skinny to boot-cut, boyfriend to capris. Splendid, another label noted for its informal stylishness, opens a 2,000 square-foot boutique in late April, also in a portion former H&M space. Known for its luxuriously soft tops and T-shirts made from a specially designed fabric, the offerings for men, women and children are a perfect fit for Silicon Valley: richly casual. The retailer also offers accessories such as hats, scarves and shoes. dining, living and nightlife. Surrounded by landscaped gardens, parks and plazas, Santana Row features over 70 retail shops, more than two dozen acclaimed restaurants, a 212-room boutique hotel and six-screen movie theatre. In addition to the dynamic retail collection, Santana Row offers 622 residential units featuring a fitness center, rooftop pool and resort-living accommodations, and 65,000 square feet of office space at 300 Santana Row, its newest office address. Santana Row is a property of www.federalrealty.com (NYSE:FRT), headquartered in Rockville, Maryland. For more information, please visit www.santanarow.com. Federal Realty Investment Trust is an equity real estate investment trust specializing in the ownership, management, and redevelopment of high quality retail real estate in the country’s best markets. As of September 30, 2012, Federal Realty's portfolio (excluding joint venture properties) contained approximately 19.1 million square feet located primarily in strategically selected metropolitan markets in the Northeast and Mid-Atlantic regions of the United States, and California. In addition, the Trust has an ownership interest in approximately 1.0 million square feet of retail space through a joint venture in which the Trust has a 30% interest. Our operating portfolio (excluding joint venture properties) was 95.1% leased to national, regional, and local retailers as of September 30, 2012, with no single tenant accounting for more than approximately 3.1% of annualized base rent. Federal Realty has paid quarterly dividends to its shareholders continuously since its founding in 1962, and has increased its dividend rate for 45 consecutive years, the longest record in the REIT industry. Federal Realty is an S&P MidCap 400 company and its shares are traded on the NYSE under the symbol FRT. For more information, please visit www.federalrealty.com. Copyright (c) 2009-2018 The San Jose Blog. All Rights Reserved. Powered by Blogger.